The function of the HAART 300 Aortic Annuloplasty Device is to restore and maintain the normal three-dimensional shape of the aortic valve. This function is achieved by suturing the HAART 300 device to the annulus, just below the junction of the leaflets and the aortic wall, thereby forcing the annulus to conform to the shape of the device. Sizing the ring based on measurements of the aortic valve leaflets insures that the annulus is reshaped appropriately for proper leaflet coaptation. In order to determine the 3-D geometry of a normal aortic annulus, Dr. J. Scott Rankin and coauthors digitized CT angiography images from 11 patients with normally functioning aortic valves. Axial images demonstrating the annular shape and commissure positions from those patients are shown in Figure 1. As you can see in the images, the aortic valve annulus proved to be elliptical with an average minor-to-major axis ratio of 0.6. 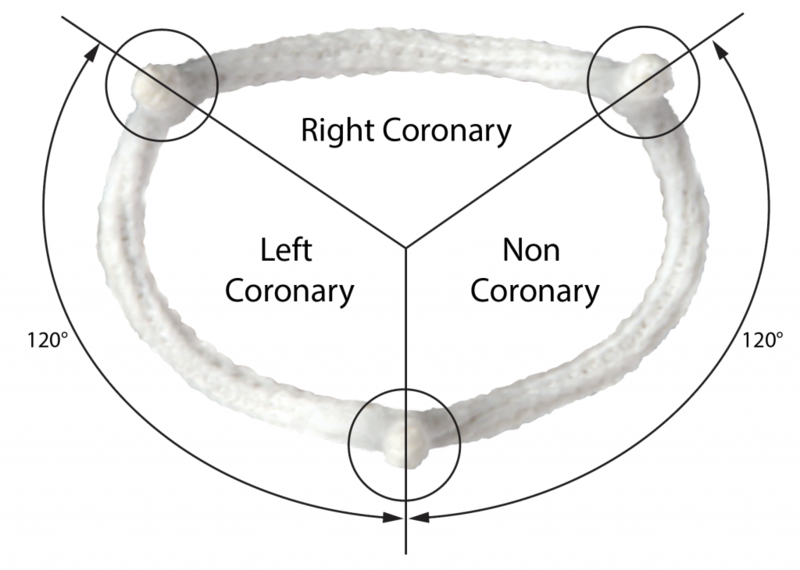 The commissure between the left and non-coronary leaflet is on the minor axis of the ellipse and all three commissures are spaced equally around the circumference of the annulus. The subcommissural space flares outward by 5 to 8 degrees as indicated by the green dots (Figure 1) representing the tops of the commissures. 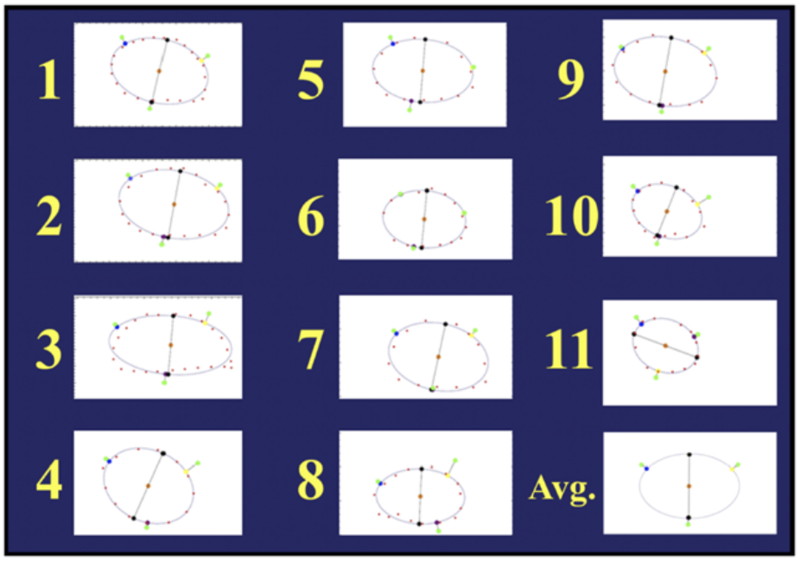 Figure 1: Aortic valve geometry observed in 11 patients with normal valves. 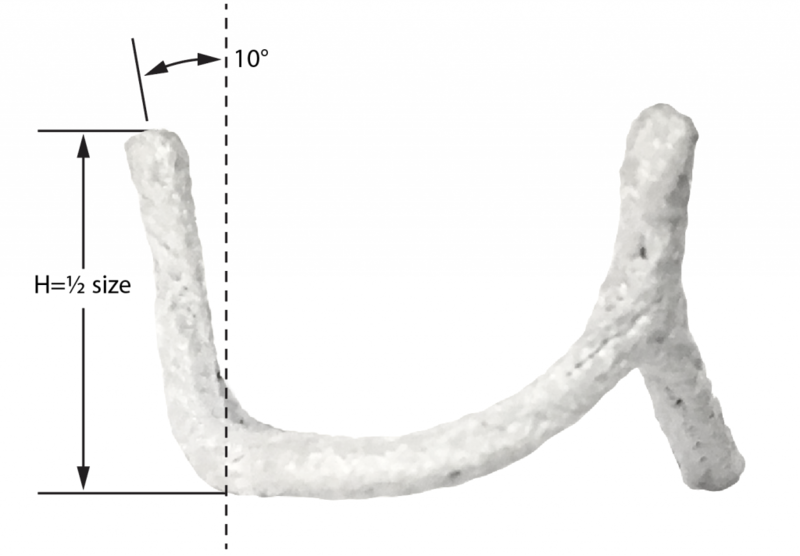 The shape of the HAART 300 devices was mathematically derived from these data and replicates the average three-dimensional shape of the normal aortic valve annulus (Figure 2). HAART 300 is elliptical in order to replicate the geometry of a healthy aortic valve annulus. HAART 300 is symmetrical because the average position of the commissures is symmetrical. HAART 300 is the only device or annuloplasty method that utilizes three-dimensional geometry to recreate the normal anatomic shape and function of the aortic valve annulus. Rankin JS, Bone MC, Fries PM, et al. A refined hemispheric model of normal human aortic valve and root geometry. J Thorac Cardiovasc Surg. 2013 Jul;146(1):103-108. Crooke PS, Beavan LA, Griffin CD, et al. Design characteristics of a three-dimensional geometric aortic valve annuloplasty ring. Innovations (Phila). 2013 Sep-Oct;8(5):364-70.